Property Lawyers in Pakistan are very hard to find, especially good ones. One of the biggest markets in Pakistan right now is Property. The price of property (in certain areas i.e. Lahore, Karachi, Gwadar etc etc) are growing on a weekly basis, an land disputes are not uncommon in this part of the world. 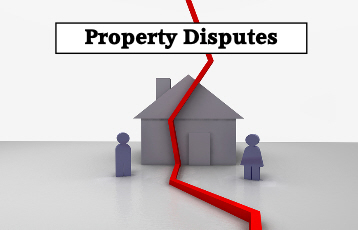 Like any developing country, Property Laws and Practices in Pakistan are a minefield if you do not have the right Property Lawyers to handle your case. This is where 24Justice.pk can assist you with your matters, as we only enroll the best in the business on our panel. What Our Property Lawyers for Resolving Land Disputes in Pakistan handle? Our Specialist Property Lawyers will analyze your case, and advise you best on how to proceed, depending on your current case, and your desired outcome. Once more, our Panel work on our “24Justice Fixed Fee” Basis, which means you will get the most reasonable price, and the most professional service available. Please write more like this? It’s been extremely useful to people. Hey There. I found your blog using msn. This is a very well written article. I?ll be sure to bookmark it and come back to read more of your useful information. Thanks for the post. I will certainly comeback.